Home | Ceramic Tea Cups & Mugs | Ceramic Coffee & Tea Mugs | Friendly Kitty Mug, 8 oz. 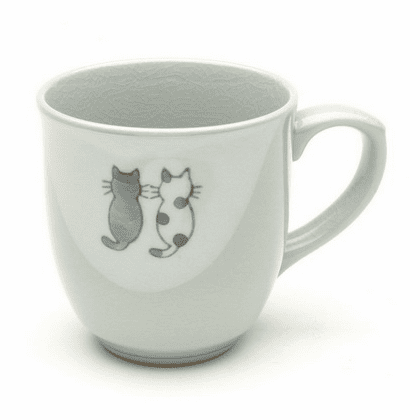 Home | Ceramic Tea Cups & Mugs | Ceramic Cat Tea Cups & Mugs | Friendly Kitty Mug, 8 oz. Crackle glazed ceramic coffee/tea mug with two kitties design. Has kitty prints inside the cup. 3-3/8" tall, 2-3/4" in diameter.